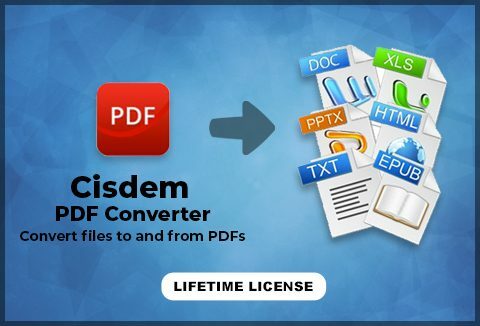 Save time creating and converting PDFs more accurately with Cisdem PDF Converter For MAC. Own this best PDF Solution today with Lifetime License. Buy now for just $49.99 $19.99. What Exactly You Can Do With Cisdem PDF Converter For Mac? Convert encrypted PDF files that are protected from printing, editing and copying. Create PDF files from Word, PPT, Rtfd, Html, ePub, Chm, Text, Images, etc. Combine multiple files into a single PDF document. Convert and create PDFs in Batches (Complete and Partial). Grab this LIFETIME subscription of the PDF Converter for Mac just for $19.99 Now, Stop Copying and Recreating, Start getting tasks done faster. Precise Conversion of PDF into Word, PPT, Text, Rtfd, ePub, Html, Keynote, Pages, Image, etc. All the attributes of the document are precisely preserved, including all original text, images, graphics, tables, links, and layout. Quickly preview PDF files and select a specific page or page range for conversion. Creates 100% industry-standard PDF files that can be read, printed, or processed by popular PDF viewer programs. Creates PDF files that are dramatically smaller than the original document. A host of PDF Compression option provided: Original, Low, Medium, High. Produces PDF files up to 300% faster than alternatives. Use drag & drop to add files to a batch, or simply select a range of pages you wish to turn into PDF files. Select a range of files or different file types and merge as one single PDF files. Lifetime updates and support provided. Increase your overall productivity and unlock the potential of PDF files. At A Price Of $19.99 Only!